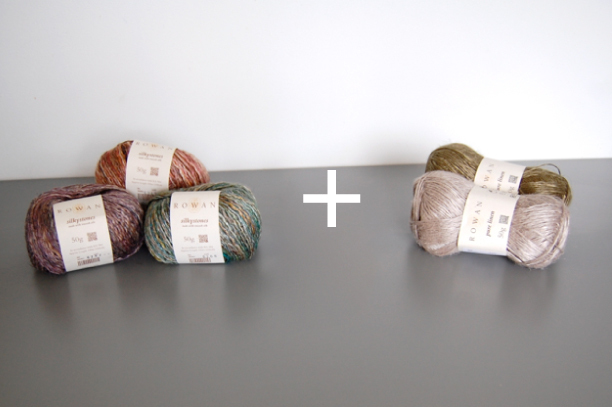 Not long ago, Rowan sent me some new yarn from their Spring/Summer release and I've been brainstorming ideas for what to make with it ever since. I was especially inspired by Pure Linen, because it's so unique. The feel and look of it is definitely unlike any wool or cotton I've ever used and I just had to make something with it. But I also really wanted to try something with Silkystones, which is a silk and linen blend. I ended up knitting a simple, loose-knit cowl perfect for spring and summer days (or better yet, a morning on the beach.) 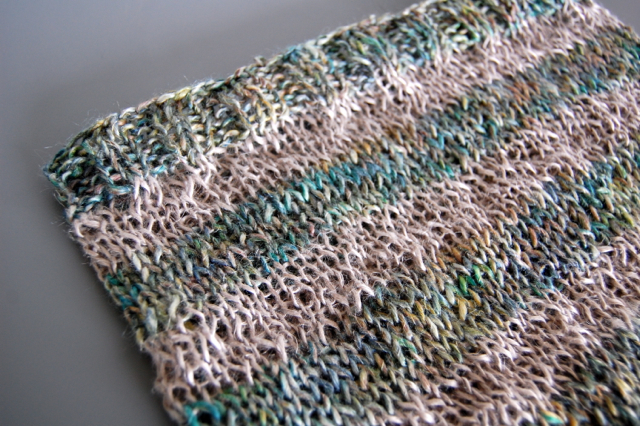 I striped Silkystones in colorway 83/Grassland with Pure Linen in colorway 395/Arizona and I named it 'surf + sand.' 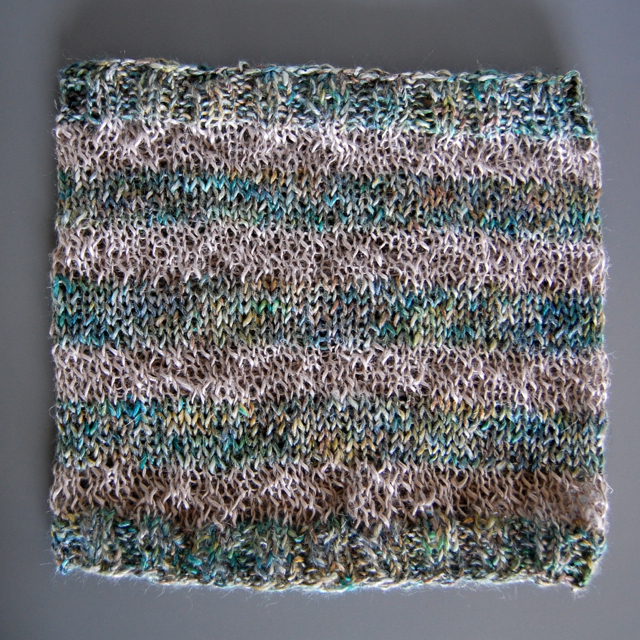 I love the airy-ness and drape of this cowl and the two yarns look and feel really nice together. If you'd like to download the pattern, it's available for free on Ravelry. Click here to check it out.